The education branch of Human Dignity and Humiliation Studies (HumanDHS) aims at disseminating the research findings related to dignity and humiliation to a wide variety of audiences. We wish to contribute to the capacity of people to build peaceful societies and be mindful of how humiliation may disrupt the social fabric, and how social cohesion may be sustained by preventing humiliation from occurring. You are invited to develop ideas and projects that aim at dignifying our world, and preventing and healing humiliation. We wish to harness and nurture everybody's expertise for our HumanDHS educational activities, create cross-fertilization and synergy, and hope that our efforts will grow organically from our discussions and meetings! Donald C. Klein was a psychologist and behavioral scientist. He was also a Member of the HumanDHS Board of Directors, HumanDHS Global Advisory Board, the HumanDHS Global Core Team, and the HumanDHS Global Coordinating Team. After earning a Clinical Psychology Ph.D. in 1952 at the University of California, Berkeley, he was CEO of an experimental community mental health center, directed a multi-disciplinary graduate center at Boston University, served as NTL Program Director for Community Affairs, and helped to develop and became coordinator of the Applied Behavioral Science graduate program at The Johns Hopkins University. Subsquently, he was Professor Emeritus of the Graduate College of The Union Institute & University, which offers an innovative non-residential doctoral program for working adults. Linda M. Hartling, Ph.D., is the HumanDHS Director, and also a Member of the HumanDHS Global Advisory Board, HumanDHS Global Core Team, HumanDHS Global Coordinating Team, and HumanDHS Research Team. She is furthermore the Editor of the Journal of Human Dignity and Humiliation Studies (JHDHS). Ulrich Spalthoff (Dr. rer. nat.) is the HumanDHS Director of Project Development and System Administration, and a Member of the HumanDHS Board of Directors, HumanDHS Global Advisory Board, the HumanDHS Global Core Team, and the HumanDHS Global Coordinating Team. 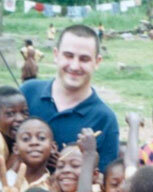 He is, furthermore, the Coordinator of the HumanDHS One Laptop Per Child project. Dr. Philip M. Brown is also a Member of the HumanDHS Global Advisory Board. Maggie O'Neill is also a Member of the HumanDHS Board of Directors, the HumanDHS Global Advisory Board, the HumanDHS Global Core Team, the HumanDHS Education Team, and HumanDHS Research Team, as part of the core HumanDHS Research Management Team, among others, as advisor to our Refugees and Humiliation Project. She is furthermore a Member of the Academic Board of the Journal of Human Dignity and Humiliation Studies (JHDHS). Grace Feuerverger is also a Member of the HumanDHS Board of Directors, and a Member of the HumanDHS Global Advisory Board, and of the HumanDHS Research Team. Dakshinamoorthi Raja Ganesan is is also a Member of the HumanDHS Global Advisory Board. 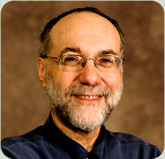 Michael L. Perlin is also a Member of the HumanDHS Global Advisory Board. Michael L. Perlin is a Professor of Law, the Director of the International Mental Disability Law Reform Project at the Justice Action Center, and Director of the Online Mental Disability Law Program at the New York Law School in New York. Mani Bruce Mitchell is also Member of our Global Core Team. Beth Fisher-Yoshida is also a Member of the HumanDHS Global Advisory Board. Victoria Christine Fontan is a Member of the HumanDHS Board of Directors, the HumanDHS Global Advisory Board, the HumanDHS Global Core Team, and the HumanDHS Research Team. She is furthermore the former Co-Editor of the Journal of Human Dignity and Humiliation Studies (JHDHS). Magnus Haavelsrud is also a Member of the HumanDHS Global Advisory Board. is a perception scientist and lecturer at the Georg Simon Ohm University of Applied Sciences Nuremberg (Technische Hochschule Nürnberg)... He was born in Nuremberg in 1968, studied mathematics at the University of Erlangen-Nuremberg, where he received his diploma in 1995. He earned his doctorate in perceptual psychophysics at the University of Wuerzburg in 2003. From 1999 - 2000 he was managing director of the Humanist Association of Bavaria (HVD Bayern, then HVD Nuremberg) and 2000 - 2003 assistant of the management at the Max Planck Institute for Biological Cybernetics. [read more] Picture by Evelin Frerk. Zehlia Babaci-Wilhite is also a Member of the HumanDHS Research Team. Rutendo Ngara holds a Bachelor of Science in Electrical Engineering, as well as a Master of Science in Medicine in Biomedical Engineering, both from the University of Cape Town. She also holds a number of certificates, including an English language teaching certificate and a fashion designing diploma - which she completed concurrently with her electrical engineering degree. Gay Rosenblum-Kumar is also a Member of the HumanDHS Global Advisory Board. Samir Sanad Basta is also a Member of the HumanDHS Global Advisory Board. Daniel L. Shapiro, Ph.D., is also a Member of the HumanDHS Global Advisory Board, and Senior Advisor of the Public Policy project. Karen Murphy is also a Member of the HumanDHS Global Advisory Board. Edward J. Emergy is also a Member of the HumanDHS Global Core Team and HumanDHS Research Team. Amy C. Hudnall is also a Member of the HumanDHS Global Advisory Board, and Co-Editor of the Journal of Human Dignity and Humiliation Studies (JHDHS). She is furthermore HumanDHS's representative to the International Association of Genocide Scholars (IAGS). Tony Jenkins is also a Member of the HumanDHS Research Team. Judit Révész is also a Member in the HumanDHS Global Coordinating Team, the HumanDHS Global Core Team and the Global Coordinating Team. She generously donates her free time, since 2003, to handle all the messages sent to our website through our Contact Us page. Duke Duchscherer is also a Member of the HumanDHS Global Core Team. Jean-Damascène Gasanabo (Damas) is also a Member of our HumanDHS Global Core Team, and Research Team. 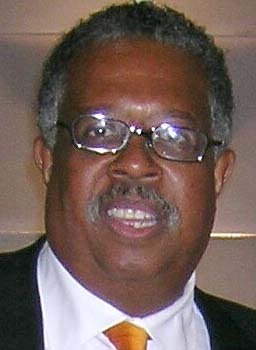 George Woods, M.D., is also a Member of the HumanDHS Global Advisory Board. David Balosa is also a Member of the HumanDHS Research Team. Seif Sekalala is also a Member of the HumanDHS Research Team. Doaa Rashed is also a Member of the HumanDHS Research Team. Fonkem Achankeng is also Member of the HumanDHS Research Team. Caroline Anne Amollo is also a Member in our HumanDHS Global Research Team. Hayal Köksal, Ph.D., is also a Member of the HumanDHS Global Advisory Board. Susmita is also a Member of the HumanDHS Global Core Team and the HumanDHS Research Team. Craig Dorsi is is also a Member of the HumanDHS Global Core Team. Stephanie Tice (formerly Heuer) is also a Member in the HumanDHS Global Core Team, and Global Coordinating Team. Kathleen Freis is also a Member of the HumanDHS Global Core Team. Christopher Santee is also a Member in our HumanDHS Global Core Team, and Project Associate of the Journal of Human Dignity and Humiliation Studies (JHDHS). Nora Femenia (Ph.D.) is also a Member in the Global Core Team. Noor Akbar is also a Member of the HumanDHS Global Coordinating Team, and of the HumanDHS Global Core Team and HumanDHS Research Team. Sophie Schaarschmidt is also a Member of the HumanDHS Global Core Team, and the HumanDHS Research Team. María Cristina Azcona is also a Member of the HumanDHS Global Core Team. Salman Türken is also a Member of the HumanDHS Global Core Team, and of the HumanDHS Research Team. Hello! My name is Darrell Moen. If you're interested, I have a relatively short biographical essay you can read here. Atle Hetland is also a member of the HumanDHS Global Core Team. Jennifer Kirby is also a Member of the HumanDHS Global Coordinating Team, and of the HumanDHS Global Core Team and HumanDHS Research Team. Fred Sullivan is also a Member in the HumanDHS Global Core Coordinating Team. Mark Singer is also a Member in the HumanDHS Global Core Coordinating Team. Talia Shafir is a Psychophysical Therapist, Registered Somatic Movement Therapist/ Educator, and Clinical Hypnotherapist. Rebecca Tabaczynski is the CFO for the American Council of International Studies, an education travel company. Doron Shultziner is also a Member of the HumanDHS Research Team. Mariana Ines Vergara is also a Member in the HumanDHS Core Team. Gabriela Rodrigues Saab Rivo is also a Member of the HumanDHS Research Team. Gabriela Saab is is a PhD candidate at the University of Sao Paulo. She holds two Masters in Public International Law and Human Rights. Her studies focus on human rights, environmental protection, and armed conflicts. Nick is a also a Member of the HumanDHS Global Core Team.